Donate to our Cause. Reptiles and amphibians have an incredible value. They are an integral part of our ecosystems, playing their part in keeping these systems functioning. Their physiology holds many clues to important medical advances. Their mystique has played important roles in our arts and culture, but they don’t get the same attention as cuter animals we’re asked to save, yet healthy ecosystems depend on these animals for survival. Become a Member. We have three levels of membership for supporters of The Orianne Society. 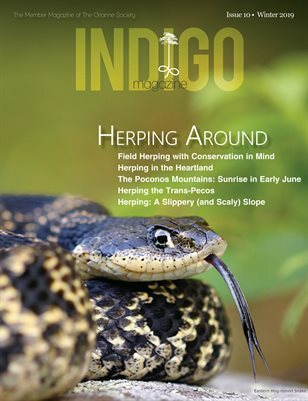 Members not only benefit from knowing they’re supporting reptile and amphibian conservation, but they also receive our monthly newsletters, biannual magazines, annual reports, a car decal and invitations to all Orianne events as well as the option to receive printed copies of our magazines and annual report and/or our collectible limited edition prints, according to which membership level you choose. Spread the Word. We don’t underestimate the power of word of mouth when it comes to letting people know about our work and the ways they can contribute! Please consider sharing your support of The Orianne Society with others who have an interest in conservation, and follow us on Facebook (/OrianneSociety), Twitter (@OrianneSociety) and Instagram (@OrianneSociety). Become a Planned Giver. Don’t just plan for your future–plan for the future of reptiles, amphibians and the great places they inhabit. Whether you prefer to set up an annual donation or a deferred gift, we can work with you to determine what you want your gift to support and how it will benefit these amazing animals and landscapes. Please contact Heidi Hall at hhall@oriannesociety.org or 706-224-1359 for more information about our planned giving opportunities. Become a Stock Donor. The Orianne Society welcomes the donation of appreciated securities–stocks, bonds and mutual funds. For detailed instructions on how to make a donation of this type, please contact Heidi Hall at hhall@oriannesociety.org or 706-224-1359. Become a Corporate Donor. Nonprofits and corporations can work together. Cash donations are welcome, but it is not the only type of support corporations can provide. In-kind support such as services, use of facilities, donated goods and access to staff expertise are also appreciated. Please contact Heidi Hall at hhall@oriannesociety.org or at 706-224-1359 for more information about our corporate giving opportunities.